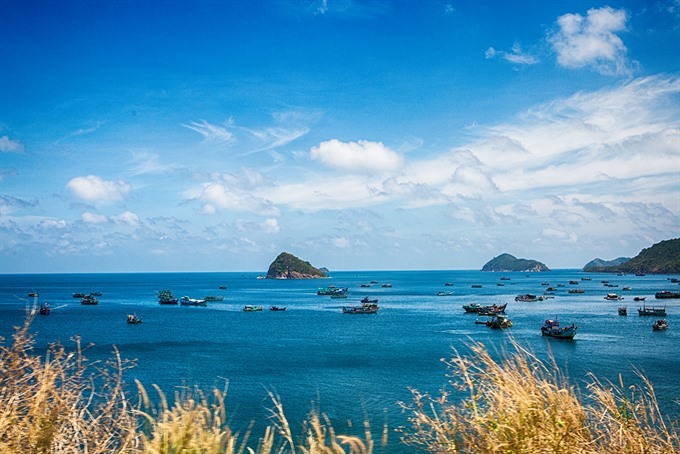 Situated to the southeast of Phú Quốc Island, Nam Du Archipelago in the southern province of Kiên Giang consists of 21 islands and islets. 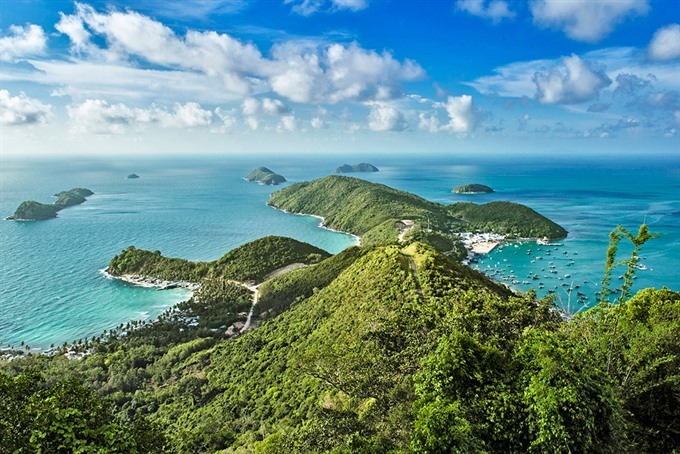 The archipelago is often referred to as a miniature of Hạ Long Bay in the southern sea of Việt Nam, but unlike its tourist-clogged northern counterpart, it is a rather untouched destination. In recent years, Nam Du has been mentioned as an intriguing, pristine destination for young travelers interested in discovering new places. Hòn Ngang, Hòn Mấu, Hai Bờ Đập and Bãi Cây Mến have become popular due to their natural beauty. Hòn Lớn (literally the Big Island) is the biggest island in the archipelago, with a lot of beautiful beaches like Đất Đỏ, Cây Mến and Giếng with lines of coconut trees, some of which are up to 80 years old. 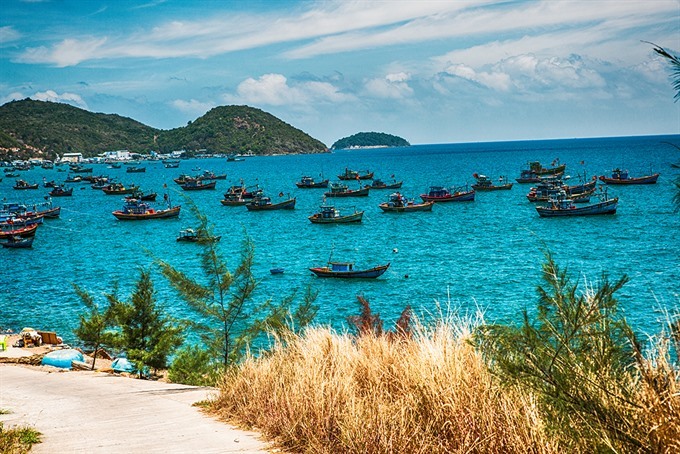 Along the coastal street in Hòn Lớn are many fantastic destinations for visitors to enjoy a panoramic view of Nam Du archipelago. From the 300m high lighthouse there, one can enjoy the most beautiful view of the whole area. Admiring the sunrise and sunset on this island is also among the most unforgettable memories for tourists. 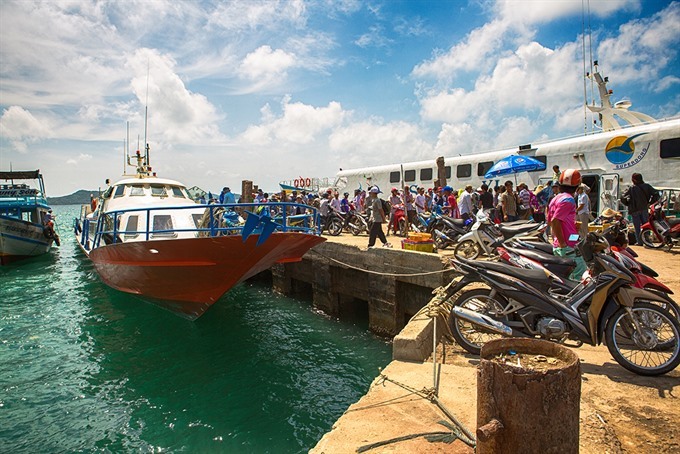 From Hòn Lớn, it takes about 30 minutes by boat to reach Hòn Ngang (literally the Horizontal Island), the most prosperous and populated island in the archipelago. Residents earn their living by fishing and raising grouper or cobia in cages. It also has the biggest port of Nam Du, attracting a number of fishing boats. 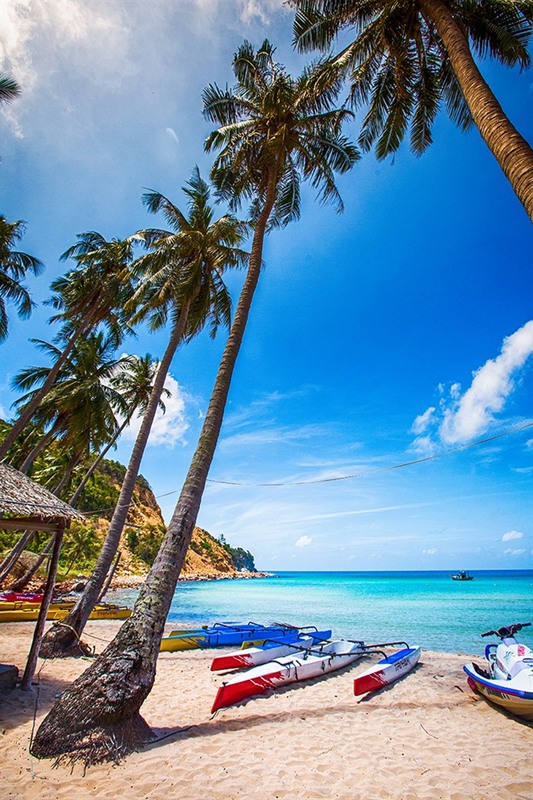 Besides the lovely blue sea, the island’s fringes of high coconut trees and rugged stone cliffs with different terrains and colours are praiseworthy. More than 2km to the southeast of Hòn Ngang is Hòn Mấu, which has about 120 households. 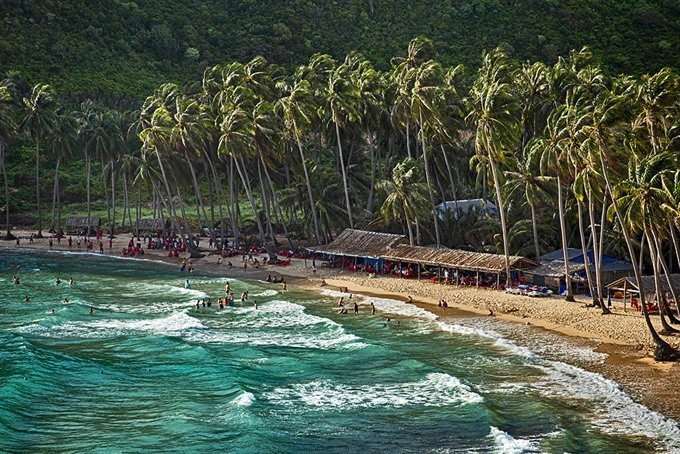 This is a potential location for resort tourism thanks to its beautiful beaches, which are named after seasonal winds like Chướng, Bắc, Nam and Nồm. 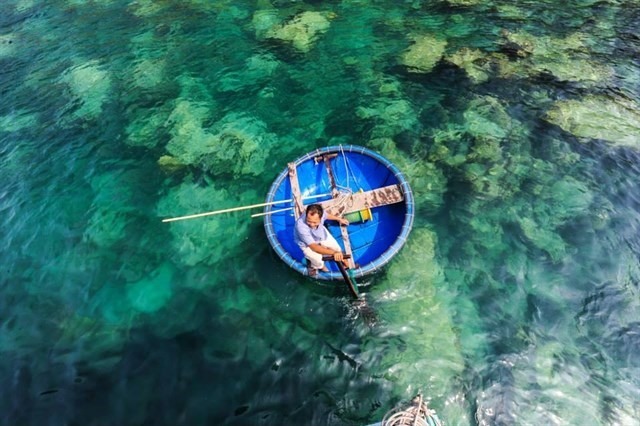 Coming to Nam Du Archipelago, one can totally integrate into the normal life of fishermen. Locals are hospitable and always welcoming to visitors. At night, people can camp, sing or listen to interesting stories about life in the archipelago. 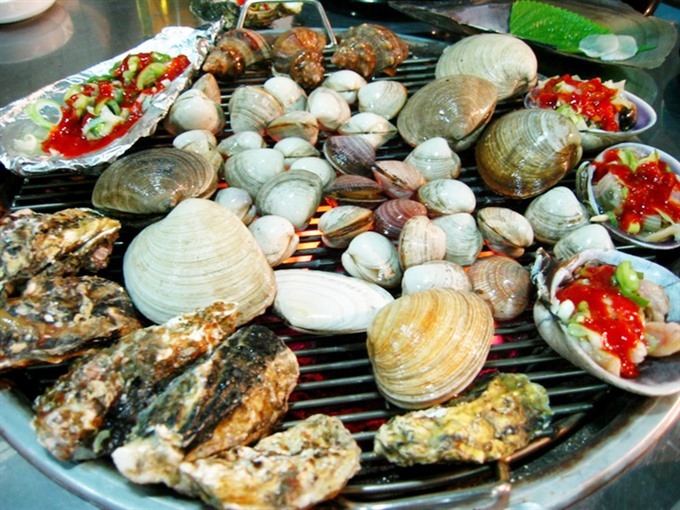 And enjoying the local seafood grilled near the sea makes everything more enjoyable. A trip of three days and two nights is the perfect amount of time to explore this place.